The Parallell String Band combine Old-Timey, Bluegrass and Swing music in a tremendously talented display of folk energy, designed to engage the audience in an evening of wholesome entertainement. The band has been performing throughout Southern New England for the last 15 years, playing at coffee houses, festivals and concert settings. Their material is drawn from American traditional and contemporary folk music, ranging from cowboy ballads to uplifting Applachian instrumentals. 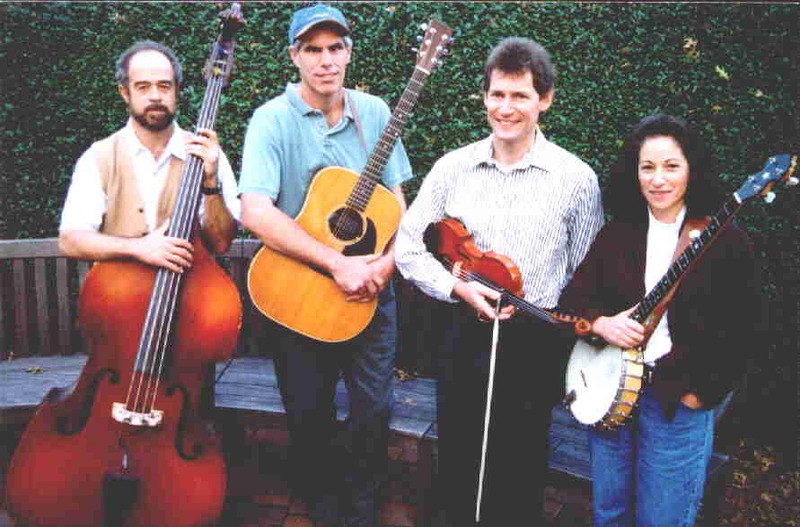 The Parallel String Band can be heard performing on "A Child's Garden of Song." This is a compilation CD, featuring some of the finest traditional musicians in New England. It is based on the poems of Robert Louis Stevenson, set to music by Rick McKinney.